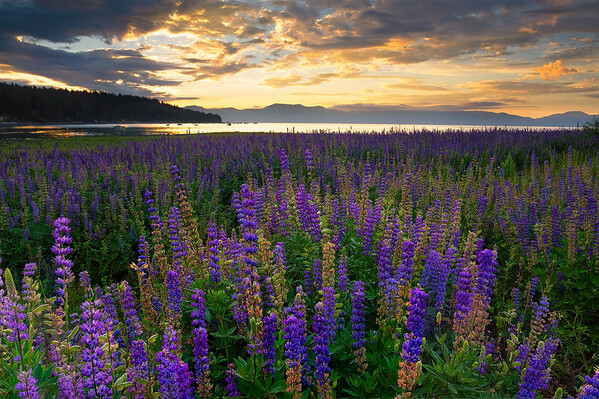 On my way to the Eastern Sierra for my vacation, I had to get up a little extra early so I could get to Forest Beach just to photograph the lupine fields. I knew they would probably be pretty well spent on my return so I was really happy I made the stop. It was a gorgeous, warm, Lake Tahoe morning with the sun filtering in and out of the clouds and a nice omen for the great conditions I'd be getting throughout my trip.